Lost Sheep Finders' Digest: Will Neighbors in an Upscale Area Attend Your BBQ? 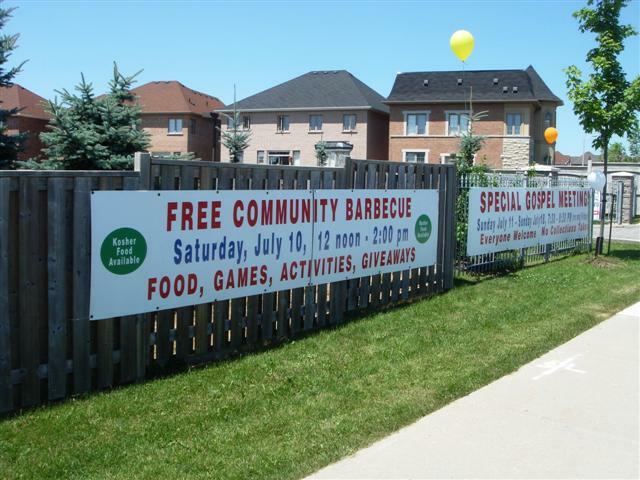 Will Neighbors in an Upscale Area Attend Your BBQ? This past Saturday (July 10) it was thrilling to see people from the community walking down the street (some drove) in ones and twos and in families to enjoy a great outdoor Saturday community meal offered by the Christians in the Langstaff Gospel Hall parking lot in Richmond Hill, Toronto, Ontario. 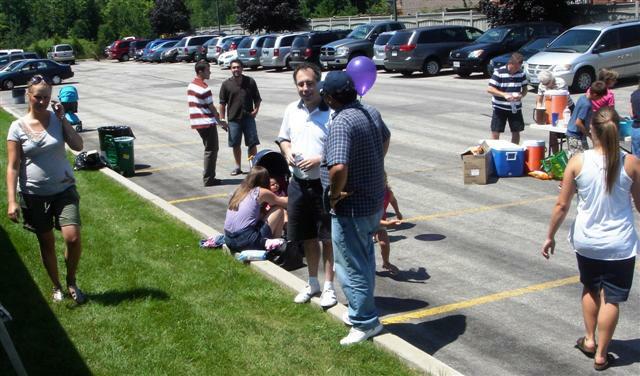 The first two years of hosting a community barbeque yielded very little response from the community. But like everything else, don’t give up after one or two attempts. Try again. A large vinyl banner advertising the community barbeque was erected on the property adjacent to the street. For the benefit of the many Jewish neighbors, the availability of Kosher food was advertised on the banner. 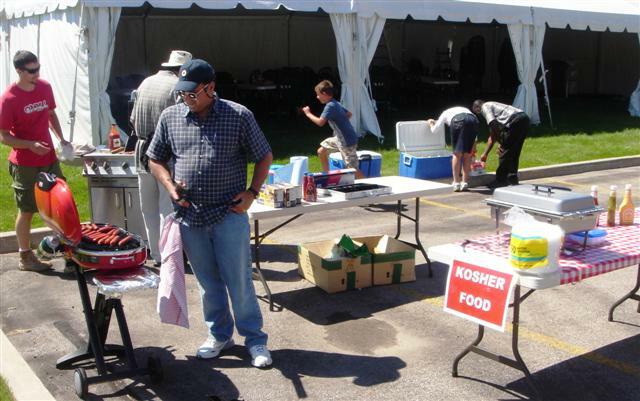 Those with a Jewish background seemed to deeply appreciate the effort the Christians went to prepare and serve Kosher food. A tent filled with tables and chairs was available so people would have some shelter from the hot sun while they ate. A table with Gospel tracts, CDs and information about the Langstaff Gospel Hall was at the back of the tent. 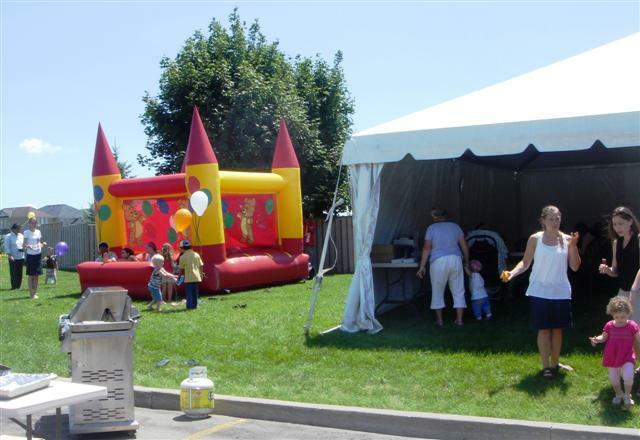 An inflatable kids’ play area was available and used non-stop throughout the two hour barbeque. 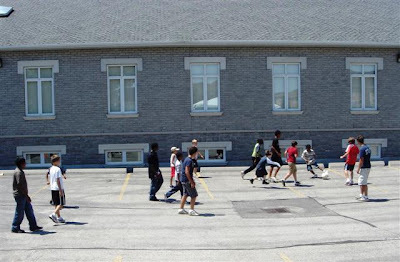 Older children and teens played soccer in the parking lot. 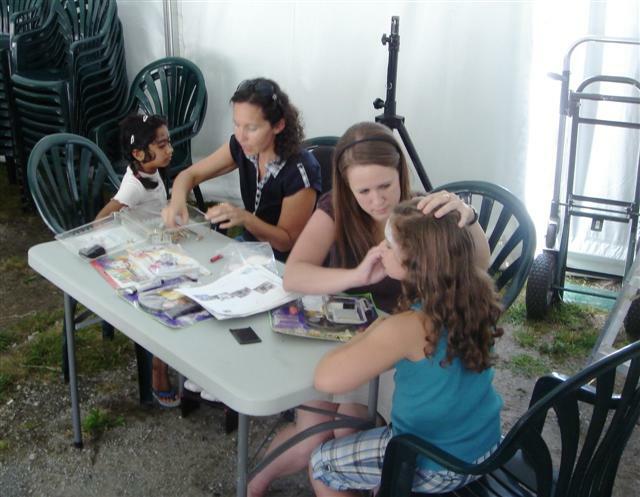 Face painting was offered as well. Children and parents seemed to enjoy themselves immensely. 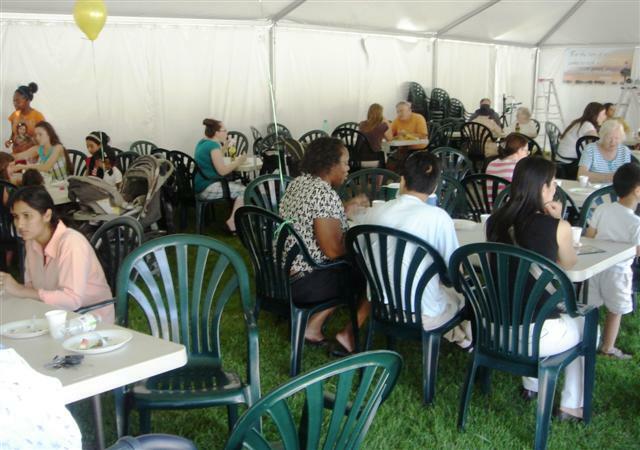 Some adults went home and brought more adults with them to enjoy the free food. Bridges the disconnect that often exists between the building and its people and the neighborhood it is trying to reach. Without hearing a sermon, the neighbors get to ‘see’ a sermon. They see Christians happily serving a free meal with a smile on their face. They see the tracts and texts hanging around and can absorb the information in an non-threatening atmosphere. Opportunities arise when Christians can share their faith or what they believe with the neighbors – using wisdom and caution. Provides an opportunity for Christians to work together in a labor of love in reaching the community. This particular BBQ event coincided with tent meetings so it was an excellent opportunity to advertise the Gospel tent meetings. Add to this list by leaving a comment. The success should not be measured by only the number of neighbors who showed up but by all those who drove by or looked out their windows and saw something positive happening in the parking lot. Maybe next year, they too will come. 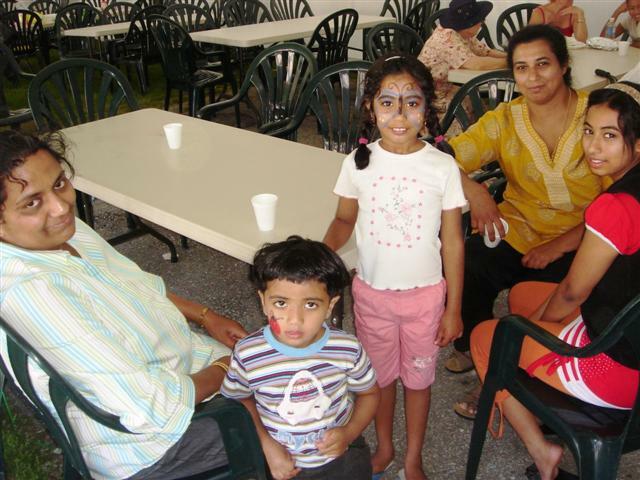 Submitted by Peter Ramsay who was privileged to enjoy the community barbeque.